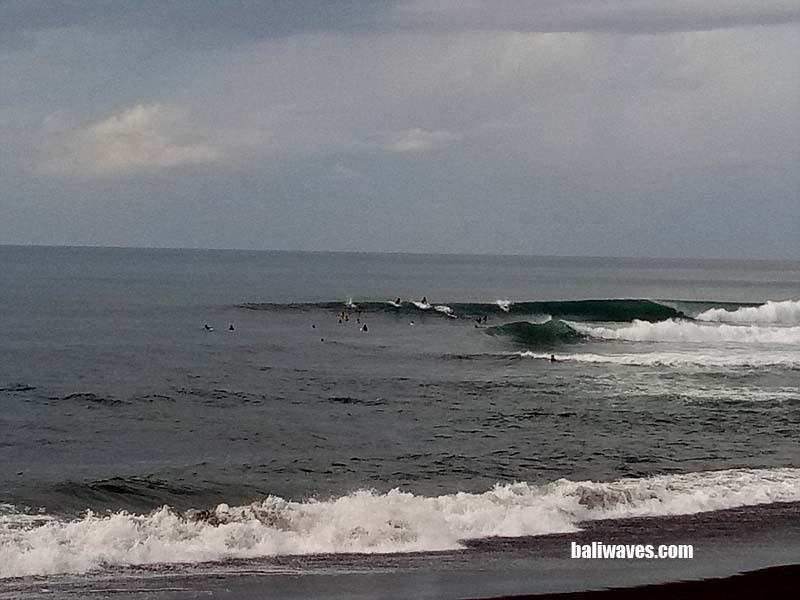 Hi surfers and welcome back to the baliwaves (bringing it to ya’s since back in 1999) for our latest news and best possible views on today’s surf here on the island of the Gods. From right here on the No.1 tropical surfing holiday destination and gateway to Indonesia’s surfing paradise, Bali of course. 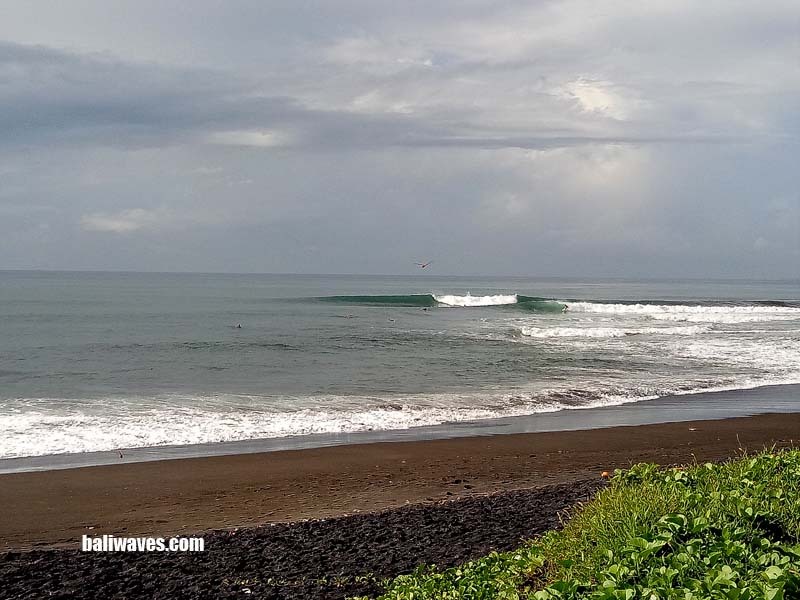 Ok so this morning we were hoping for a little bump in wave height but with the early morning low tide we knew there was going to be a lot of other surfers waiting as well, catch 22. 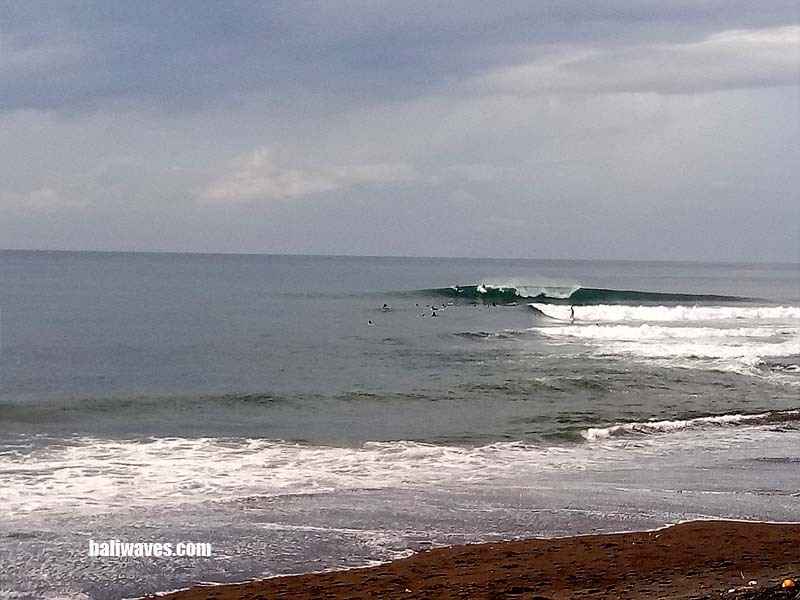 But anyway we still made our way over to the East coast arriving around 8.00AM to find wave height had kicked a little with 2-4ft waves and conditions clean and glassy. How ever there were at least already 40 surfers in the water and a steady stream coming out of the hotel in front. 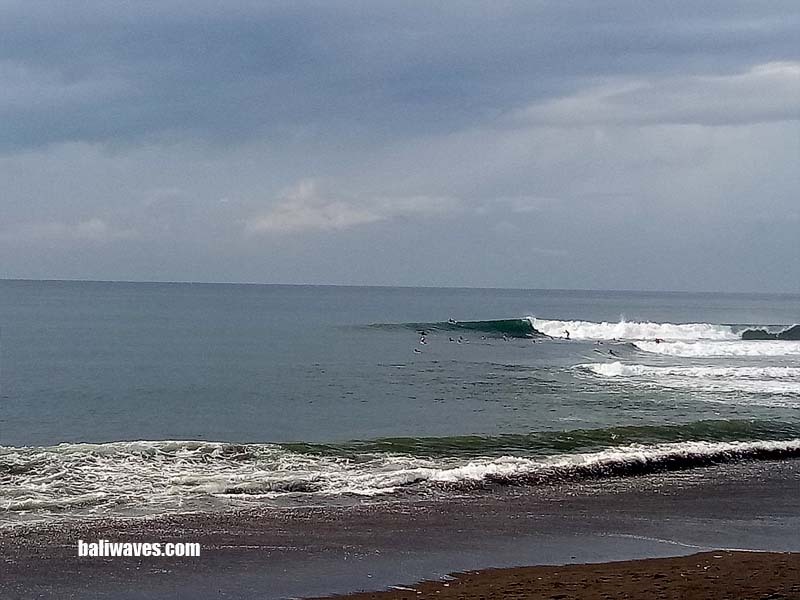 I was stoked to see a crew of Keramas grommets out there and it looked like they were certainly enjoying their day off school with today’s public holiday here in Indonesia. Surfing conditions stayed clean and glassy through until around 9.30AM when the wind switched to the West and then picked up into the 15knot class blowing cross shore at Keramas. We also stopped off at “Secrets” on the way home for a second surf if it was on, ya never know as this place likes the straight West wind. But it was looking ordinary with chocolate brown run off water. There were a few waves if your immune system was up to it. Weather wise it wasn’t a bad morning to start with but once the wind kicked in a lot of cloud moved through and we did get a bit of rain on the way home. Right now at 2.00PM it’s still mostly overcast, the temperature is on 29 degree’s Celsius and the wind coming out of the West at 6-10knot. Tomorrows surf forecast is telling me to expect wave height to be just a little better that today and the wind to be maybe just a touch lighter out of the NW turning more to the West around mid morning. 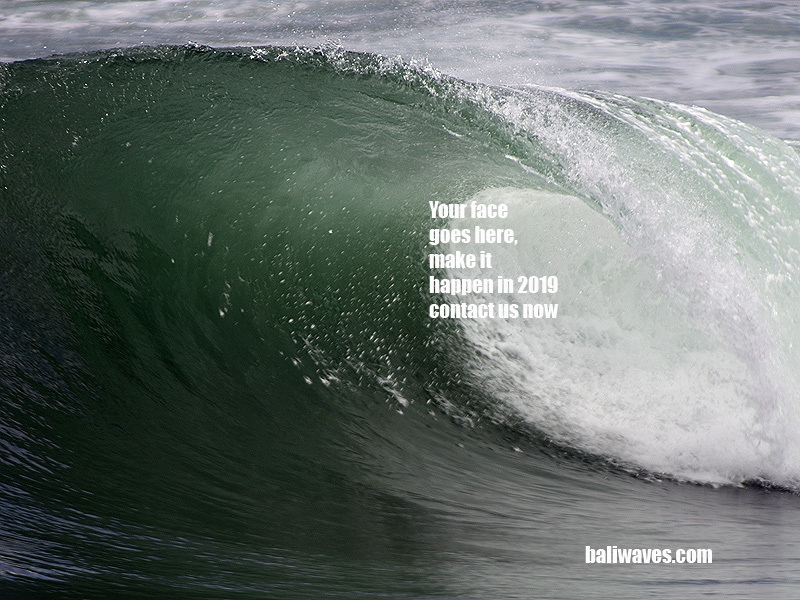 Ok talk to you again tomorrow and don’t forget to let us know if your coming over to Bali and want to score some waves and have some fun while your at it. 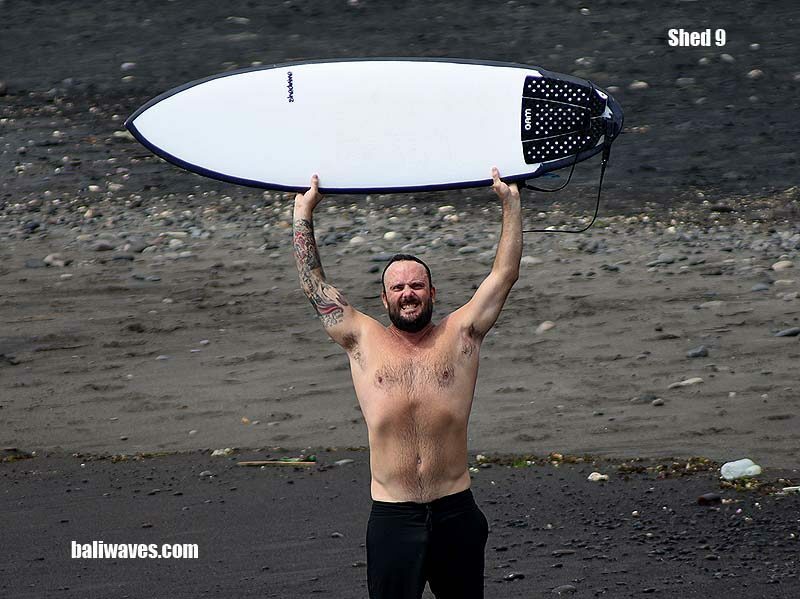 SPECIAL SURFING / ACCOMMODATION PACKAGE DEAL WITH ALL LEVEL OF SURFER WELCOME. WE SPECIALIZE IN FINDING WAVES FOR THE OLDER CREW WHO DON’T LIKE DEALING WITH MASSIVE CROWDS, BUT STILL WANT TO GET SOME GOOD WAVES. 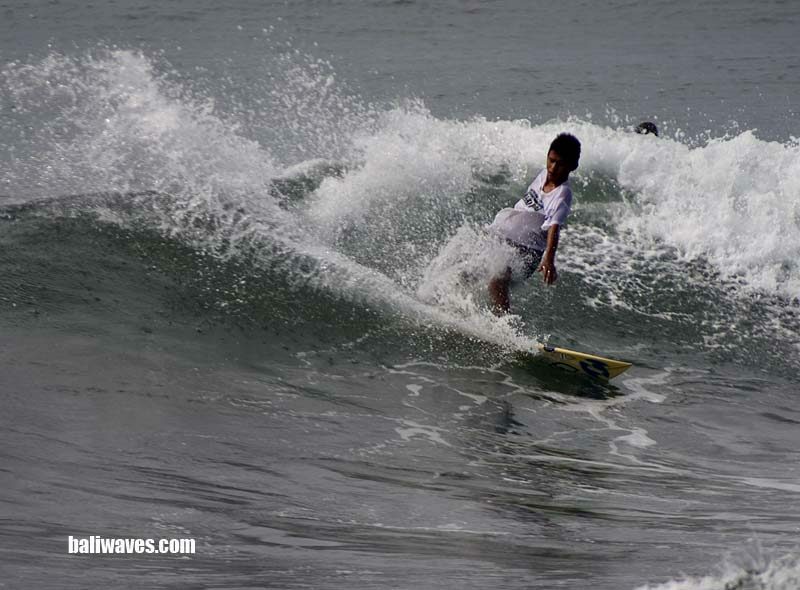 This is single surfer price, cheaper for 2 or more surfers at Rp525,000 (around US$34.00) per surfer per day. 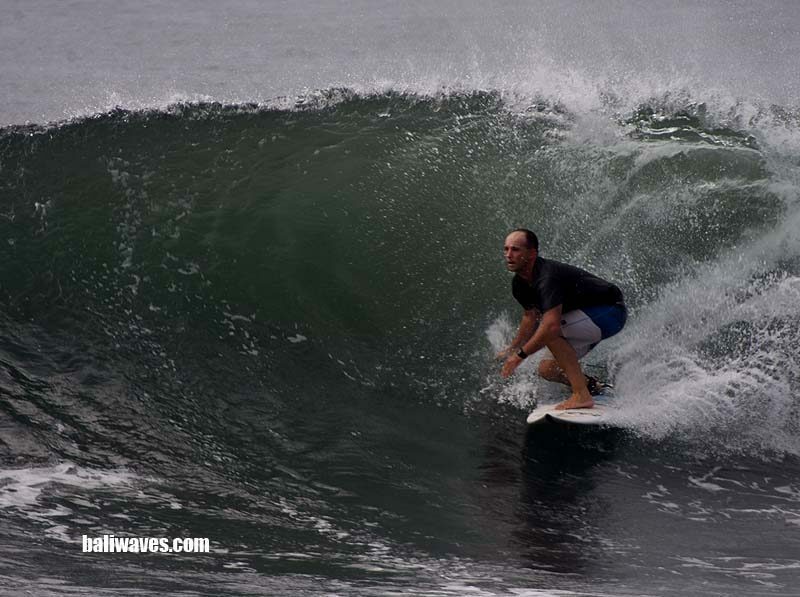 We can PICK UP FROM YOUR HOTEL, ALL LEVEL OF SURFER WELCOME you’ll be taken to the best waves on the island to suit your level, see some of Bali’s surf breaks that aren’t on the map, avoid crowds and be at the right place at the right time. 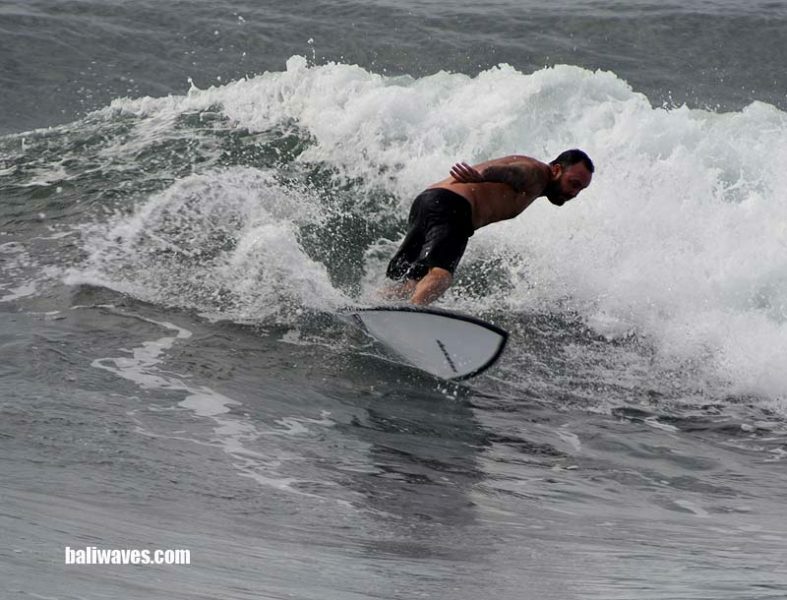 2 or more surfers priced at R475,000 (around US$33.00 per surfer).